Are you planning on attending the Urdd Eisteddfod next week? The Physiotherapy Careers blog team will there to meet you between 12-1pm/2-4.30pm on Wednesday 30th May. The Urdd Eisteddfod is a Welsh national youth festival celebrating music, art, drama and literature. It is held every year in a different location around Wales. The festival is a celebration of the Welsh Language but also welcomes learners and newcomers (and those keen to embrace welsh culture!) with open arms. It runs from Monday the 28th of May until Saturday the 2nd of June, and this year is being held at the ROYAL WELSH SHOWGROUND, BUILTH WELLS. 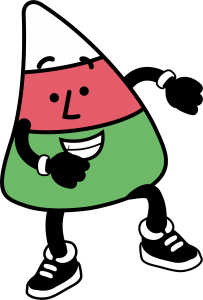 You might recognise Mister Urdd- the Urdd’s mascot, from other festivals and sporting events around Wales. Over 15,000 children and young people from many schools and groups across Wales compete in numerous competitions to prove they are the best! 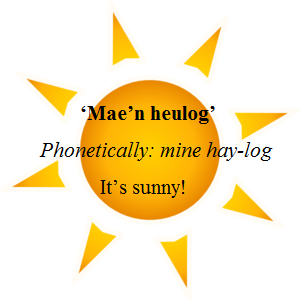 Every year the ‘Maes’ – which is the welsh word for field- is open to visitors offering food, live music, activities, welsh produce and arts and crafts- as well as stands for Welsh companies to talk about what they do. We invite you to come and meet Ffiz the Physiotherapist, our mascot who will be in attendance as well as working physiotherapists, Natalie and Gwyneth. We will be located in the Coleg Cymraeg Cenedlaethol stand between 12-1pm/2-4.30pm on Wednesday 30th May and will be available to answer your questions about careers in Healthcare; including Physiotherapy! You could also join in Ffiz’s physiotherapy challenge; the ping pong ball competition and other fun exercise and balance games. The ‘Maes’ opens daily and Tickets for entry to the can be purchased HERE or on the day and are priced from £8 for children and £16 for Adults. Children under the age of 4 enter for free and there are concessions for students and unemployed people. Camping is available nearby (For more information about accommodation please click here).